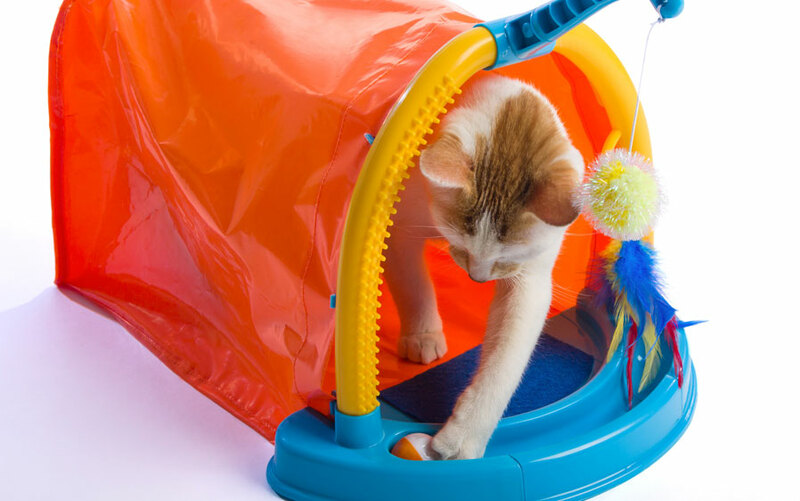 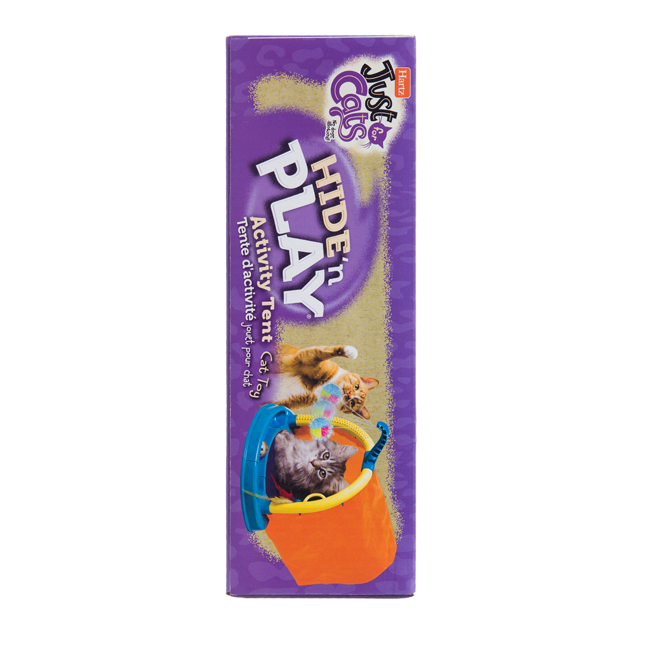 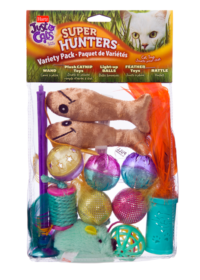 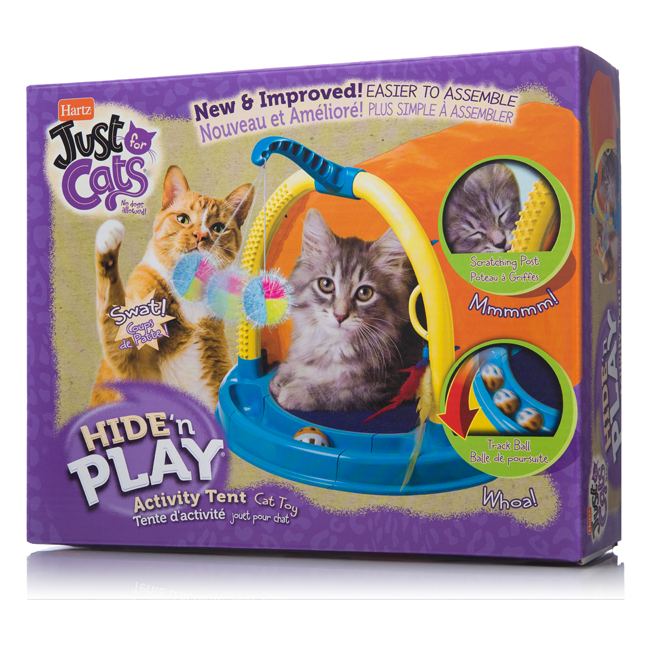 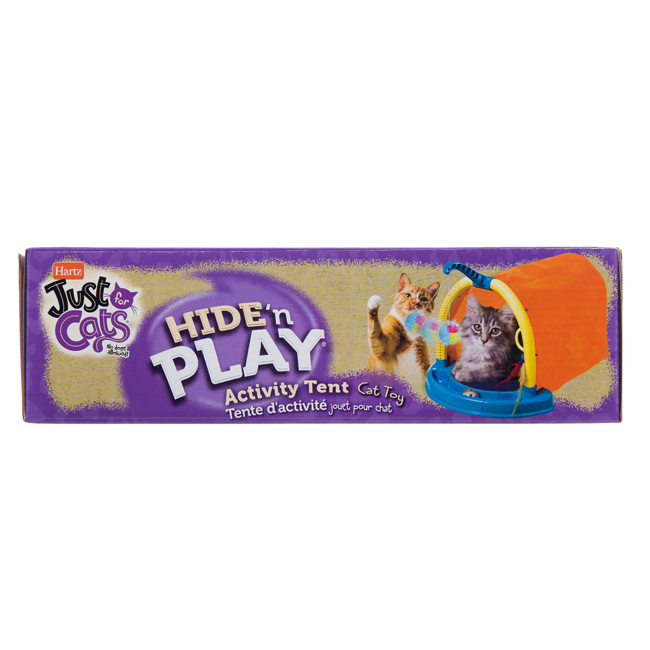 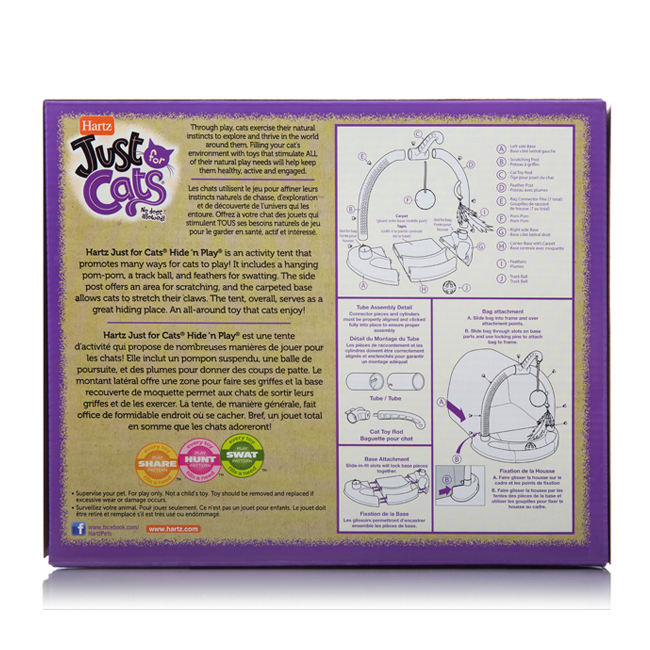 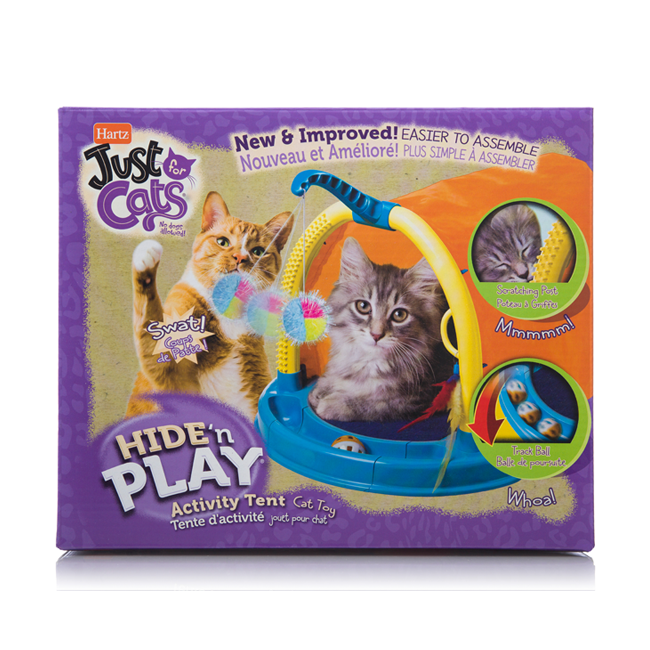 Designed to satisfy your cat’s hiding play pattern, the Hartz Just for Cats Hide ‘N Play Cat Toy is a complete activity center for indoor kitties that facilitates exercise and promotes wellbeing. 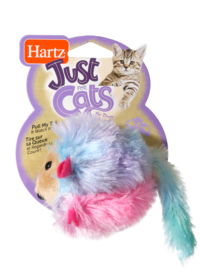 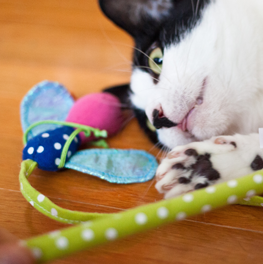 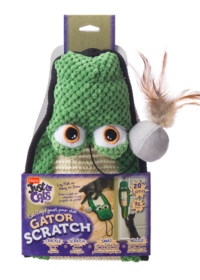 This simple to setup toy features a durable scrunchy bag that makes an appealing sound to attract your curious cat. 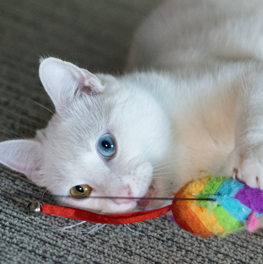 Naturally driven to manipulate objects in their environment by using their paws, cats will enjoy the dangling toys, which help build and maintain coordination as well as promote exercise. 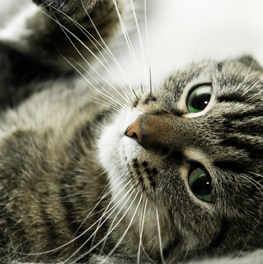 Cats can also scratch on the carpeted base to help keep their nails fit and trim.